Can Creating Computer Games Develop Reading and Writing Skills? What should we teach kids about computers in 2011? Most already know how to use them. But Kodu is not just about 0's and 1's and dense blocks of HTML. It's made of icons and simple, navigable menus, all with the aim of making learning fun and creative. "We put a lot of work into the icons so that kids who can't read can always remember the images," says MacLaurin. The good news for teachers is that Kodu can be matched to academic standards. Educators who use it are continually developing resources and classroom applications for it. Planet Kodu, for instance, is a one-stop Kodu shop developed by teachers in Victoria, Australia. Plus, MacLaurin says, game creation tends to be something that kids are eager to do in or out of school. I caught up with him to ask a few questions about the software and why it works. Q: Why is game design important for learning? A: One of my favorite results that we've discovered so far is based on a study that just came out by a local educator in a PhD program at the University of Washington. The study found a correlation between kids' ability to program and to write, to create narrative. He has a theory that when you're designing a video game you have to understand the points of view of many different characters. You have to think about what the user can and can't see. That has a clear connection with writing effective fiction. Programmers tend to be more literate than the average citizen. That's a really interesting, promising thread that could lead to long-term studies on improving students' reading and writing skills. Ultimately, our fundamental thesis is to help kids become better thinkers. But it helps if they can learn to read and write better, too. Q: Who uses Kodu and how do they use it? A: Teachers are using Kodu in a lot of different ways -- art classes, science classes, math classes. It's a really rich, interdisciplinary framework that can address all kinds of topics. We're in schools all around the world. I think it's been downloaded in 100 countries. Teachers can use it without contacting us at all. The downside to that, of course, is that we don't know exactly how many are using it, but we're in active contact with about fifty of them. Also, we've sold about 65,000 copies so far on the XBox, and less than ten percent of those are being used in classrooms. A lot of kids are willing to do this in their free time, completely on their own. "Ultimately, our fundamental thesis is to help kids become better thinkers. But it helps if they can learn to read and write better, too." Q: What resources are out there for teachers interested in Kodu? A: There's a Kodu classroom kit as well as Planet Kodu, where teachers exchange experiences and ideas for lessons and things like that. We've been approached by a couple different people about developing a Kodu book. There are also Kodu communities that have sprung up, like KoduX.com. Teachers have really been a primary motivation for us. Kids are so fearless when it comes to video games. Often, we find that teachers are the more nervous ones. One thing we spent a good four months building is a smart tutorial system. It'll tell you to do something and then watch to see that you've done it, as well as encourage exploratory play. If you're doing a typical tutorial, one step at a time, you're not exploring. The system supports teachers using it with their students, too, because it allows each child to work at his or her own pace so the teacher doesn't have to keep the whole class in lockstep. Q: How do people find out about Kodu? A: Mostly word of mouth. We're really led by a lot of teachers out there who want to get past catching up on math and into more progressive skills, 21st century skills -- how to innovate, how to work as a team, how to work on the entrepreneurial process. We often attend conferences related to computer science in education and do talks here and there. Usually there are a lot of teachers who are trying to figure out appropriate ways of using computers in the classroom and are not really sure how. 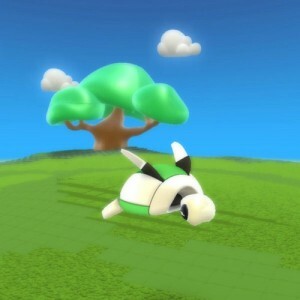 Q: What are your hopes for Kodu's future? A: It's pretty easy to get into a school as an after school program; it's much harder to get schools to make a long-lasting commitment to a program. But we need that because we want to measure how Kodu affects cognitive development. It's tricky to measure. We need long-term, double-blind studies. How do we get beyond the hero teachers who in many cases are using their own money to buy game controllers? That's something we're going to keep chipping away at. We're pretty optimistic, actually. We're getting more downloads and requests each week. Teachers in K-12 are desperate for activities that are relevant to kids, and game design is a deep enterprise.